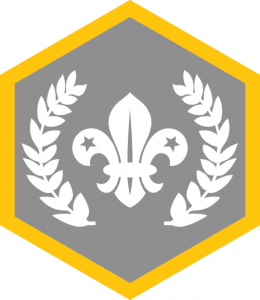 Cubs need to earn a ll seven of their Challenge Awards and any six Activity or Staged Activity Badges to gain their top award. The increasing number of Challenge Awards across the sections reflects the age of the young people, and the increasing length of time they spend in each section. To view your Cub’s progress towards achieving the Chief Scout Silver Award with the Challenge Awards below, login to your MyScout account and click on the Badges menu.